Heaney is still hoping to convince their front office they should have given him a longer look five years ago. He'll get another opportunity Sunday evening when he takes the mound for the Los Angeles Angels in the series finale against the Dodgers at Angel Stadium. [post_ads]The Dodgers (48-40) gave up two runs in the ninth inning and lost the series opener 3-2 on Friday night, then held on for a 3-1 win against the Angels (45-45) on Saturday. Heaney was traded from the Miami Marlins to the Dodgers at the winter meetings Dec. 12, 2014, but a few hours later the Dodgers dealt him to the Angels for popular second baseman Howie Kendrick. Heaney had two chances to beat the Dodgers during the 2015 season, but lost both games. He gave up two runs and four hits in 5 1/3 innings of a 3-1 loss at Dodger Stadium on Aug. 1 of that season. Five weeks later at Angel Stadium, he gave up five runs and six hits in five innings of a 6-4 loss. Heaney had Tommy John surgery in June 2016 and made only six starts over the next two seasons. Heaney (4-6, 3.94) had a solid month of May this season, posting a 2-3 record and 2.41 ERA in six starts. He had a winning mark of 2-1 in June, but his ERA dipped to 4.45 for the month. In his only start in July, he gave up three runs and five hits in seven innings at the Seattle Mariners on Tuesday, taking the loss in the 4-1 defeat. "It's sort of been the same old story for a little while, just sort of the big innings where I let it kind of build," Heaney told reporters after his latest outing. "It's something where I need to come out and establish earlier, kind of get ahead, and all the other same stuff we always talk about." 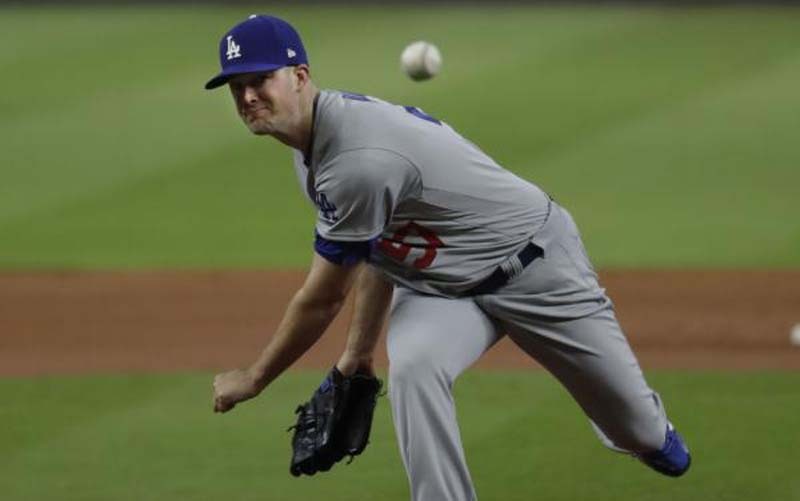 Heaney will be opposed by Dodgers left-hander Alex Wood, who will be aiming to win his fifth straight start. Wood also won all five appearances in May of last season on his way to an 11-0 start. Wood (5-5, 3.84) probably didn't expect to have a chance to go over .500 by early July after dropping to 0-4 on May 15. "Winning is just nice," Wood told Sportsnet after his latest start, a 17-1 win against the visiting Pittsburgh Pirates on Monday. "Four in a row is nice, especially where I was after that three-start stretch. So I feel good, just trying to keep moving forward and looking towards the future. Hopefully, we'll keep swinging the bats well and play well going into the All-Star break." The Angels are the only American League West team Wood has not faced in his major league career. He struggled in his only interleague start this season, giving up seven runs and seven hits over 3 2/3 innings in a 16-6 loss to the visiting Oakland A's on April 11.